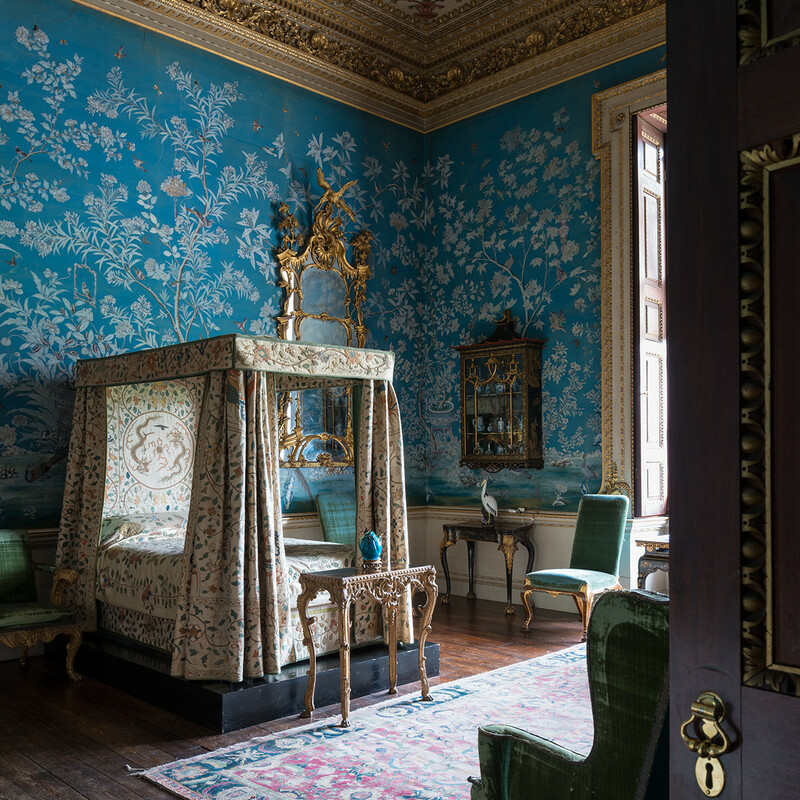 Houghton Hall reigns as one of England's greatest country estates as shown through more than 100 objects from the former home of that country’s first prime minister being displayed in the American premier debut of the exhibition, Houghton Hall: The Portrait of an English County House. The exclusive exhibit, traveling to Houston followed by only stops in San Francisco and Nashville, opens June 22 at the Museum of Fine Arts, Houston. Organized by the MFAH in collaboration with Houghton Hall, the exhibit is on view through Sept. 21. 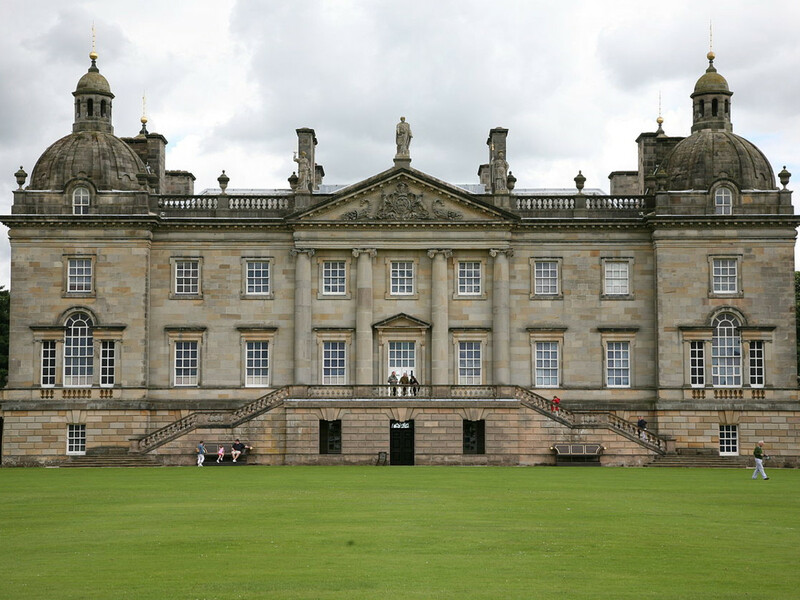 "Like all of the great treasure houses," Gary Tinterow, director of the MFAH, said at a media preview of Houghton Hall, "this is a great repository of centuries of collections and activities. 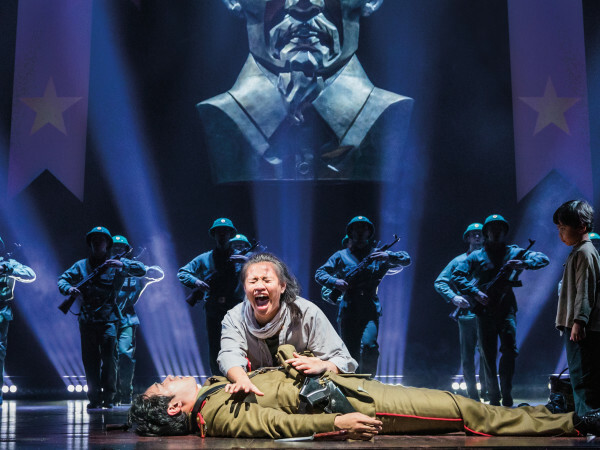 "So many fascinating stories are to be told with this exhibition." The house and much of its collection were built in the early 1700s by Sir Robert Walpole and became notorious when the prime minister's collection of Old Master paintings was sold by his grandson to Catherine the Great in 1779. The house and all of its furnishings, considered to showcase some of William Kent's most elaborate interiors, remained intact but fell to neglect in the 19th century. "Like all of the great treasure houses, this is a great repository of centuries of collections and activities." "Lord (George James) Cholmondeley really saved the house," Lord David George Philip Cholmondeley, 7th Marquess of Cholmondeley and a direct descendent of Sir Robert, said at the preview. "My grandparents moved in after WW II and immediately set up restore and repair projects to resuscitate them. Houghton Hall is renowned as one of the finest Palladian houses built and holds one of the most extensive art collections in Britain. From great family portraits by William Hogarth, Joshua Reynolds and John Singer Sargent to exquisite examples of Sèvres porcelain, rare pieces of R.J. & S. Garrard silver and furniture by Kent, the exhibition evokes the fascinating story of art, history and politics through the collections of this aristocratic English family. That story is told at MFAH through the objects creatively placed in themed vignettes to replicate significant rooms in Houghton Hall, explained Christine Gervais, MFAH associate curator. 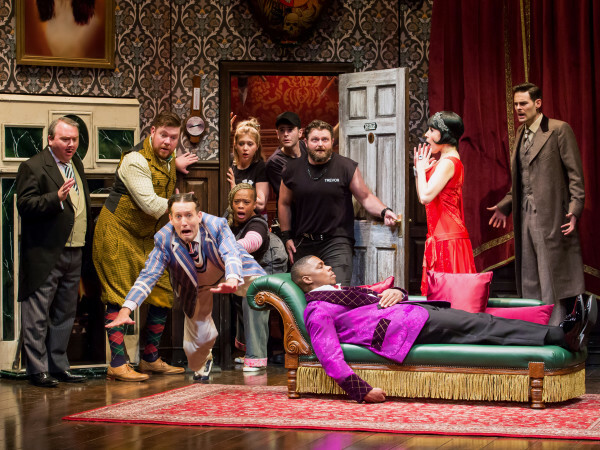 True-to-scale photomurals serve as backdrops to set the stages in several displays, such as bookcases for the library, fireplaces surrounded by floor-to-ceiling decor in the dining room and Stone Hall and massive doors in the saloon flanked by detailed velvet wall coverings. 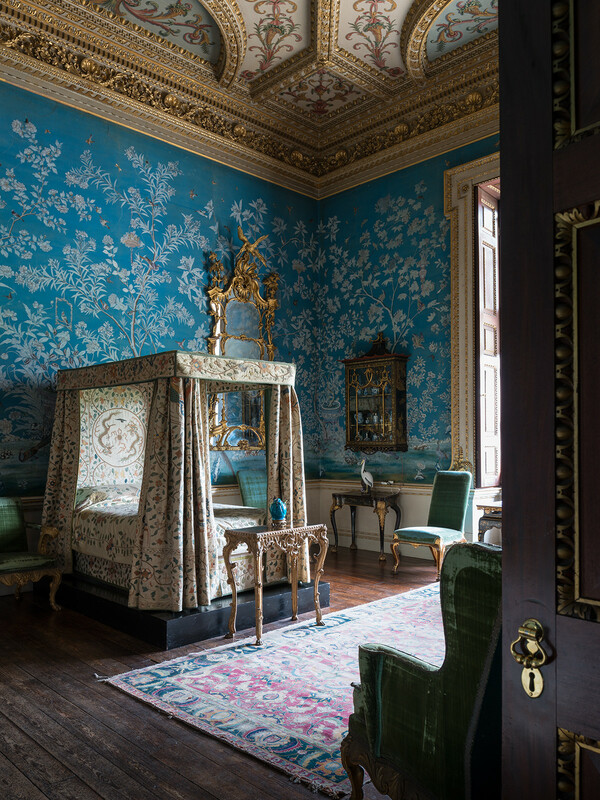 Rooms also move visitors from different period influences at Houghton Hall, Gervais said, from Baroque to Japanese to Italianate to more recent acquisitions, revealing the evolution of collecting. Another exhibition space is an interpretation of a cabinet room or small intimate area featuring handpainted Japanese wallcoverings in brilliant turquoise, shown as large panels hanging from ceiling to floor. “Japanesed-furniture,” or furniture made to look like Japan’s black lacquered pieces are here, as well as a christening bed and late-18th century dressing table filled with silver treasures — some of them still containing the original powders. Stone Hall, actually with 40-foot-tall ceilings at Houghton Hall, follows with Sir Robert’s bust in virtual form above the fireplace displaying him as almost a Roman senator — a man of power and he wanted all to know it. And the grand saloon is most impressive, showing Kent’s elaborate salute to Apollo in a ceiling painting and to Venus with hints of shells and fish scales carved from mahogany and wrapped in crimson silk velvet as stately chairs. The tapestry room, staged like the small antechambers were assembled, is surrounded by walls of tapestries depicting scenes of the occupations of monks. Centering the area are the coronation ensembles with hers trimmed in ermine and accented with 13 black spots, designations of her royal status. Two picture galleries reveal just some of the extensive holdings of Houghton Hall, one a large space definitely worth contemplation, and another, an intimate showing of family portraits, most notably ones painted by Sargent for his dear friends. Of one of the portraits of his grandmother painted by Sargent, Cholmondeley said he remembers her saying the artist kept draping and draping her with fabrics, bunching them in just the right fashion for the painting. A final note: Before you leave, do peruse a more recently commissioned painting located to the right of the exit. 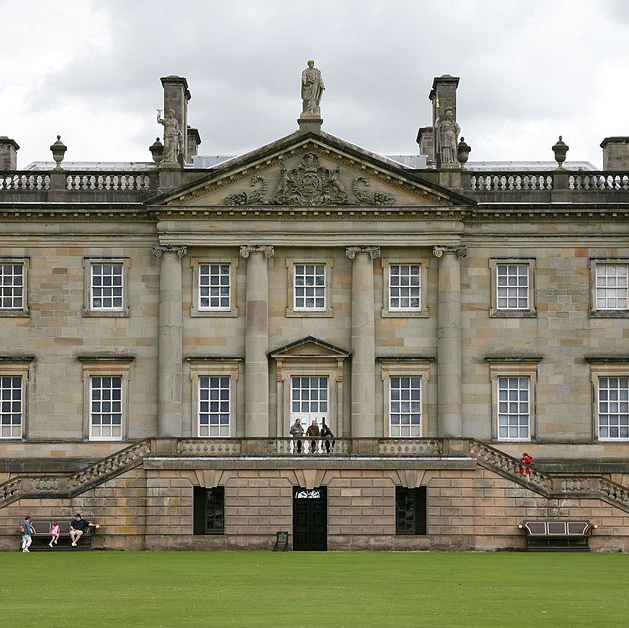 Find Lady Sybil sitting on the steps in front of Houghton Hall — a very tiny but detectable figure of the woman — and a most sweet tribute.